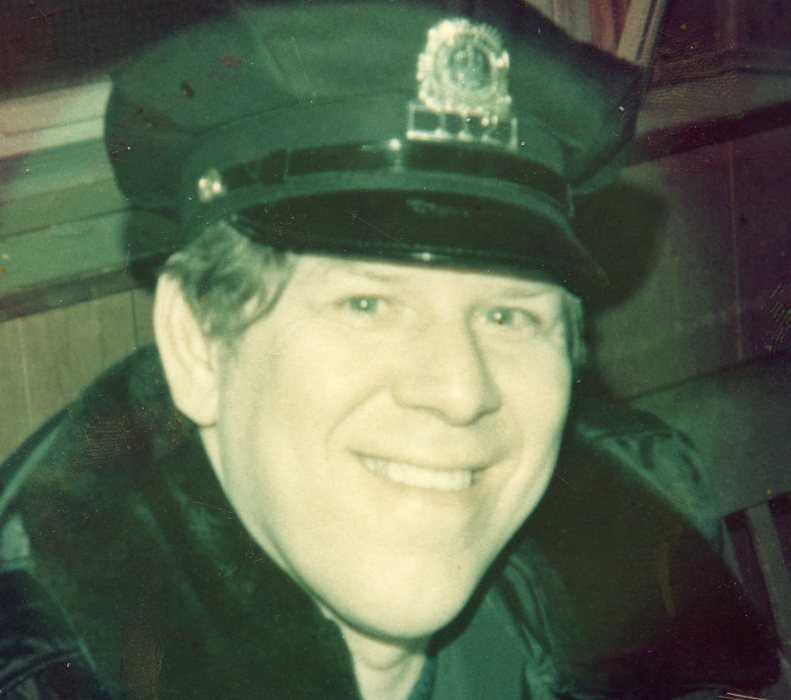 JANIAK- Of Lynn, formerly of Chelsea, November 21st, Walter S., Chelsea Police Department, retired. Devoted husband of Stella S. (Kloss). Beloved father of Deborah Berardino and her husband William of Londonderry, NH, Lisa Correnti and her significant other William Cohan of Lynn, Laurie Cataldo and her husband Gregg of Lynn and the late Michael Drigotas and Alfred Drigotas. Father-in-law of the late Roy F. Correnti and Paul Spada. Brother of the late Stanley Janiak, Josephine Lyons and Joseph Janiak. Cherished grandfather of Annmarie Dasaro, Alisha Spada, Blasé Cataldo, Autumnrose Cataldo, Tanya Fierro and Michael Drigotas and Christopher Drigotas. Lovingly survived by his great grandchildren, Natasha, James, Alexis, Logan, Gino and Gianni, his great great grandchildren Scott and twins Emily and Fiona as well as many nieces and nephews. Family and friends are kindly invited to attend a Funeral from the Smith Funeral Home, 125 Washington Avenue, Chelsea on Monday, November 27th at 9 AM followed by a Funeral Mass celebrated in St. Stanislaus Church, 163 Chestnut Street, Chelsea at 10 o'clock. Visiting Hours in the Smith Funeral Home on Sunday from 3-7 PM. Services will conclude with interment with Military Honors at Woodlawn Cemetery, Everett. Late United States Army Veteran during the Korean Conflict. In lieu of flowers, the family suggests that memorial contributions be made to the Alzheimer's Association, 309 Waverly Oaks Road, Waltham, MA -2452 or to the American Cancer Society, 30 Speen Street, Framingham, MA 01701. Born in Chelsea 87 years ago to the late Joseph and Regina (Puzan) Janiak, Walter passed away late Tuesday afternoon hours after being admitted to the Kaplan Family Hospice House in Danvers where he was to receive supportive respite care as he courageously battled a fast moving cancer that was only diagnosed months ago. A member of the Chelsea Police Department for over 32 years until his retirement in 1993, he was a member of the Chelsea DAV, Chelsea Moose and St. Andrews BBC. In his free time, he enjoyed bowling, pool, cards and fishing, but his most favorite times and memories were made for over 54 years with his family and friends at the family cottage in Goffstown, New Hampshire.